A beautiful reproduction of a Brunswick chair from 1923. 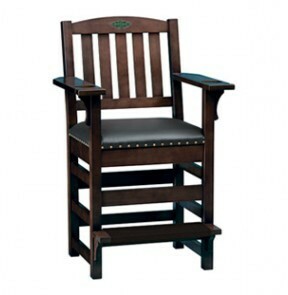 Designed to complement all billiard rooms, the Player’s Chair adds class and elegance to any home. Offered in chestnut and espresso finishes.